Closed System with control window. Aggregate Reservoir for waste liquid. 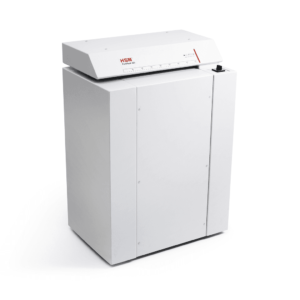 Explosion-protected model by EX II Gcb IIBT3 available on request . 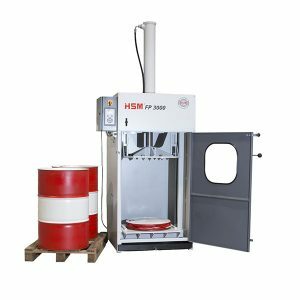 Sturdy and compact design · Safe crushing and compression of PET and UBCs in a single operation · Easy operation with membrane keypad · Automatic stop with LED, once collection container full · Removable collection trolley with reusable 290 litre polythene bag · Device switches off automatically. 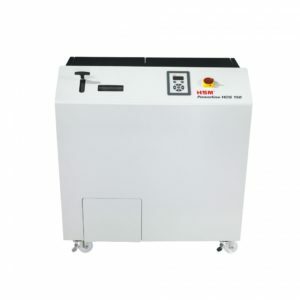 Hopper filling: 50-70 bottles (1 litre). 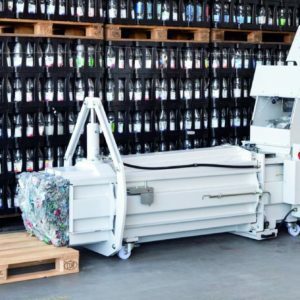 Optimum ease of operation · High throughput via large split-loading hopper and short compression cycle .Strapping with 4-fold continuous polyester tape . Bale Dimensions (L x W x H) : 800 x 600 x 900 mm. Optimum ease of operation · Large loading aperture · Bale strapping with continuous polyester tape · Secure loading flap and bale removal door. Hard chrome plated piston · Automatic return. Mobile Wheel. Weight Bale : 70 kg. Bale Dimensions (L x W x H) : 650 x 505 x 500 mm. Cutting cylinders made of processed steel. Very suitable for decentralised destruction of smaller amounts of data media. Mobile Wheel with parking brake. 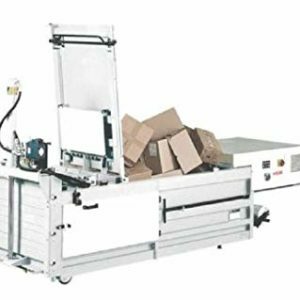 Optimum ease of operation · High throughput via large split-loading hopper and short compression cycle · Loading flap protected by safety switch · Strapping with 4-fold continuous polyester tape. 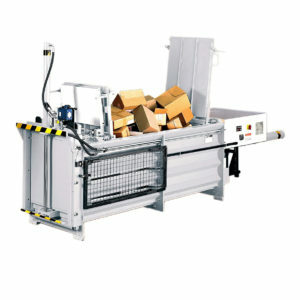 4-fold strapping with quick-link wire · Three bundles with 36 wires 2,45 x 4400 mm are included in the delivery. Weight Bale up to 440 kg, Max. 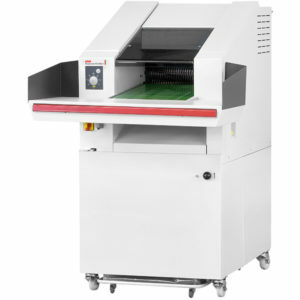 Very low space requirement · Compresses cardboard and foils · Especially large loading aperture for bulky materials · Suitable for continuous loading (e.g. via conveyor belt) · Hydraulic counterplate for bale removal ensures optimum operating convenience and safety · High specific pressing power provides a high compaction of the material and consequently an optimum HGV load · Intuitive, multilingual operational guidance via graphic description · Pallet locking mechanism for safe bale removal · High process reliability . Weight Bale up to 420 kg, Max. Bale weight : 600 Kg Max. 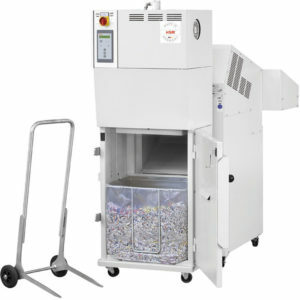 Due to its great performance this robust and durable shredder documents are ideal for use in archives or central stations for shredding documents. 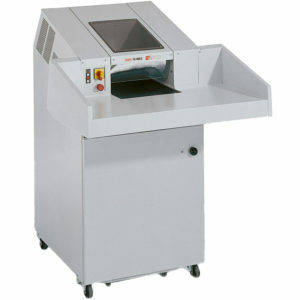 ADD The shredder thru the conveyor belt into the aperture. Automatic lever reduces paper jams. 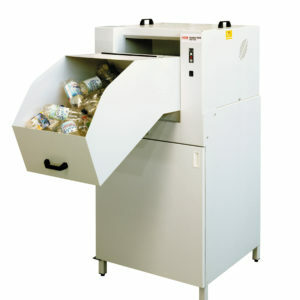 Simply emptying with a detachable trolley on multiple-use wheels. The media crushes into small particles which is impossible to read. Conveyor Belt for extracting the crushed discs into a reservoir. 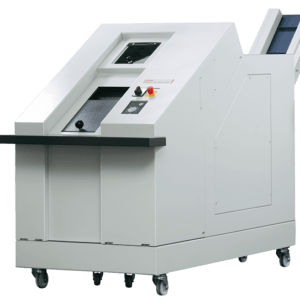 Automatic reverse on the case of stuck material. 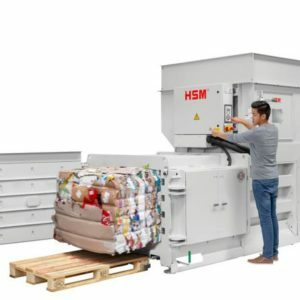 This packaging machine transforms used cardboard into packaging material in one work step. 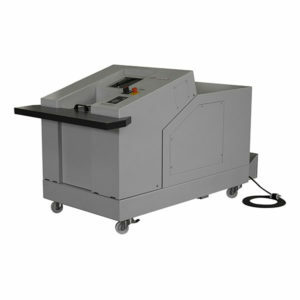 Can be used as a mobile and flexible tabletop device · High quality materials and “Made in Germany“ quality for security and durability · Easy to operate via rocker switch for On/Off and return · Printed dimensioning of the cutting width in mm. 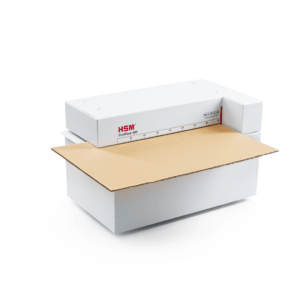 This powerful device perforates several layers of used cardboard into packaging material. 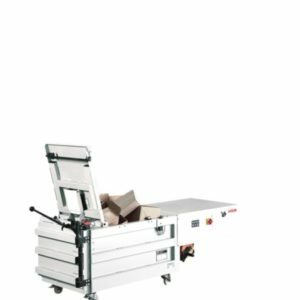 The clever solution for all shipping and storage areas · High quality materials and quality for security and durability · Easy to operate via rotary switch for On/Off and return · Printed dimensioning of the cutting width in mm · Mobile on castors, with parking brake. Dual-Layer or Three-Layer Cardboard Cutting. 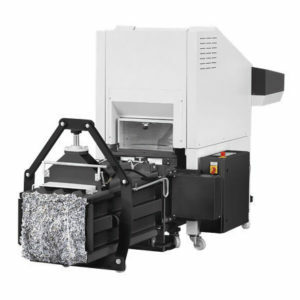 This compact combination of the FA 400.2 conveyor belt document shredder and a vertical baling press is designed for the professional destruction of large quantities of documents, which are then compressed into bales of up to 35 kg. 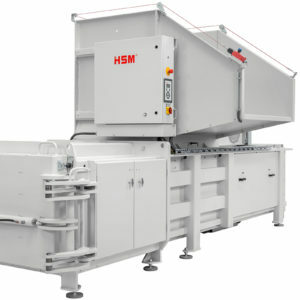 Cutting rollers made of hardened solid steel · Convenient material feeding via non-slip conveyor belt · Continuous operation is possible thanks to the powerful motor with a chain drive · Automatic reverse eliminates paper jams · Light barrier for automatic start of the compression process · Shredder material is compressed into compact bales and can be cleanly disposed of either in a box or waste bag · Practical removal trolley for the easy removal of bales · User safety through emergency off switch. 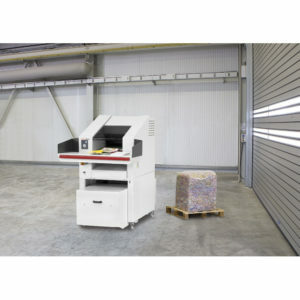 This powerful combination of the FA 500.3 large document shredder and a counterplate baling press provides for data security in archives and compresses the shredded material into bales of between 40 and 80 kg. Cutting rollers made of hardened solid steel · Convenient material feeding via non-slip conveyor belt. 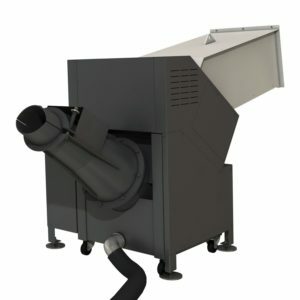 Continuous operation is possible thanks to the powerful motor with a chain drive. · Mobile on castors, with parking brake. 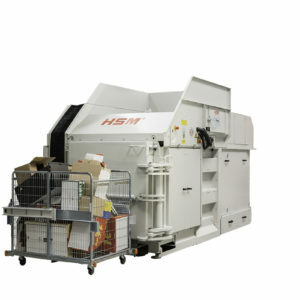 Automatic reverse eliminates paper jams.